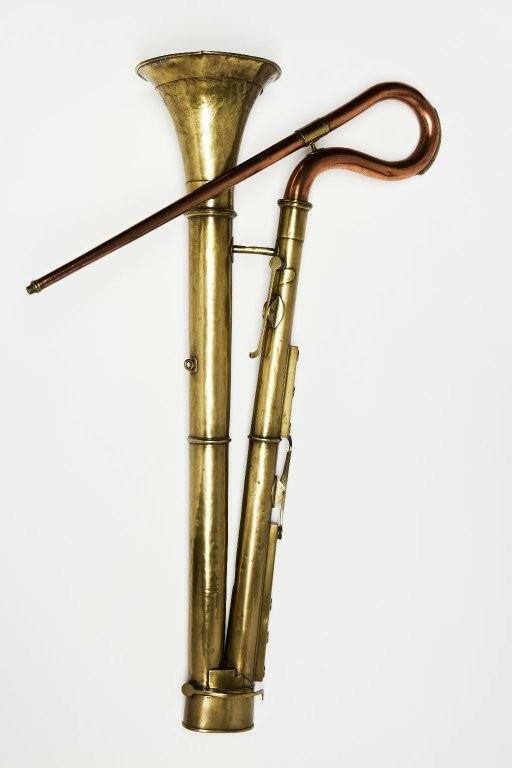 Technical description: Brass body with plain garland. Crook of copper with brass bow guard, end ferrules and middle ferrule. 6 finger-holes in usual two groups of three, each group on a raised platform; 3 keys, for L0, L4 and R4; the key-hole for L4 on raised platform for right hand finger-holes. R0: Keymount type: saddles. Keyhead type: flat, round. Embossed on garland "RICH. CURTIS / EDINBURGH" within foliage wreath. Inscribed on bell "25TH REGT. ".